The right of return is a principle in international law which guarantees peoples’ right of voluntary return to or right to re-enter their country of origin or of citizenship. The right is formulated in several modern treaties and conventions, most notably in the 1948 Univers al Declaration of Human Rights, the 1966 International Covenant on Civil and Political Rights and the 1948 Fourth Geneva Convention. The Geneva Conventions, it has been argued, have passed into customary international law and that the right of return is binding on non-signatories to the conventions. 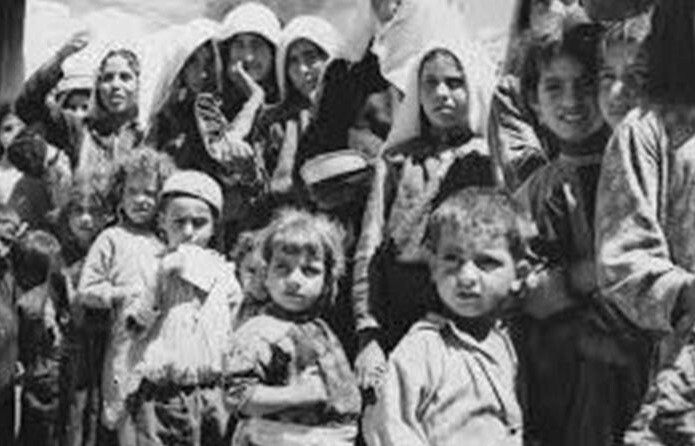 Since its beginning in 1948, Israel has pushed Palestinians to leave their land, and despite international law demanding the right for refugees to return, they have not allowed them to do so. This is in contrast to the permission they give to any Jew to immigrate to Israel. They are therefore actively seeking to replace the indigenous population with another. 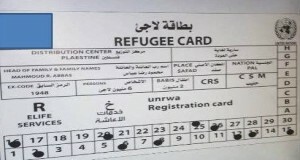 There are currently an estimated eight million Palestinians in the diaspora: this includes over six million registered with UNRWA. 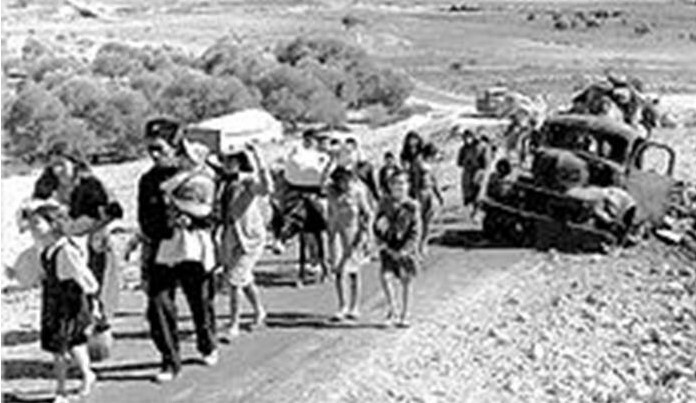 There have been two huge sudden wav es of refugees: 1948 (Nakba) and 1967 (the beginning of the occupation of the West Bank, Gaza and East Jerusalem), and on-going deportations of individuals and pressure on others to leave. Whether still living in camps throughout the Middle East or living in other countries, Palestinians make up the largest group of refugees in the world. Palestinian people are still being deported or prevented from returning to their country. 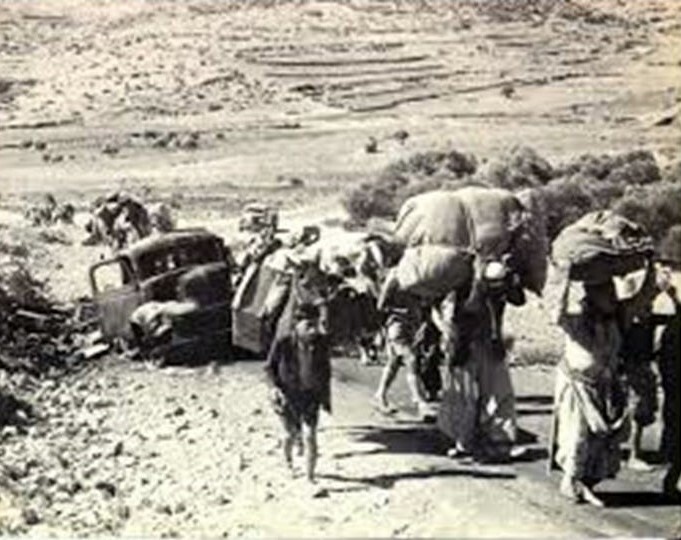 In 1947-8, there were huge pressures on Palestinians in villages and towns in the west of Palestine to leave. The Zionist armies pushed people from their homes by force. Some of the stories are better known (the massacre of Deir Yassin) but there were many other massacres and bad stories. The film “Route 181″ tells some others. Ilan Pappe’s book “The Ethnic Cleansing of Palestine” tells of the Zionist groups; Plan Dalit, wh ich was to go village by village to push out the Palestinians. From 1948 onwards, an unknown number of people tried to return but many were shot or disappeared at the borders. Abu Dis (like other places) lost two-thirds of its population in just a few days. Abu Dis found itself in the front line, and so most people had to move to save their families (See our book “The First Six Days”) From Abu Dis, many went to Jordan. And just as in 1948, so in 1967: once it had taken over the land,Israel rapidly closed the border and prevented people from returning. The Israeli state has continued to pressure Palestinians through deportation, denial of entry and discriminatory laws (See Nur Masalha, “The Policy of Denial”). House demolitions, land expropriations and other daily human rights violations make it hard to live a normal life. Palestinians argue that this is ethnic cleansing—an attempt to make them go away and lose the chance to return. From the Geneva Conventions of 1949. United Nations General Assembly Resolution 3236 “reaffirms … the inalienable right of the Palestinians to return to their homes and property from which they have been displaced and uprooted, and calls for their return”.